Russia's 55bn m³ Nord Stream 1 gas line underwent annual maintenance between September 11 and 22. 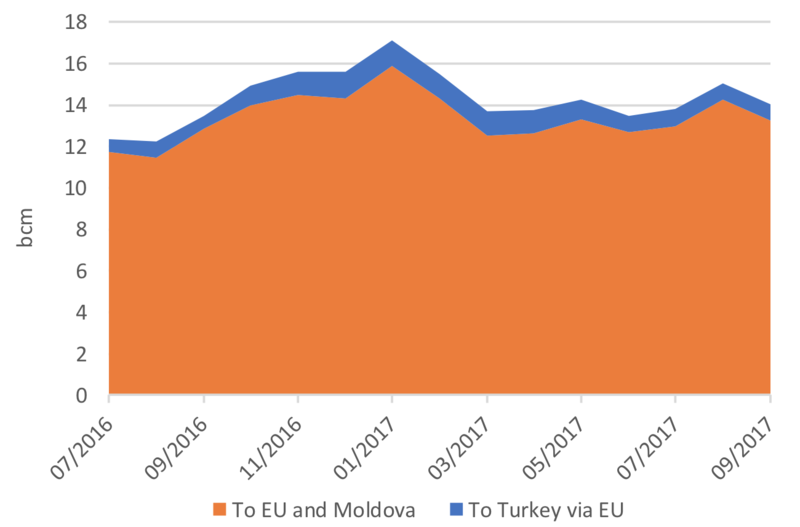 During this period, the direct flows from Russia to the EU dropped from an average of 160mn m³/d to 20mn m³/d as disclosed by Gazprom, cutting 1bn m³ off the overall exports to EU relative to August. With 13.2bn m³ exported in September, flows were down by 7% on the month but up 3% year on year. 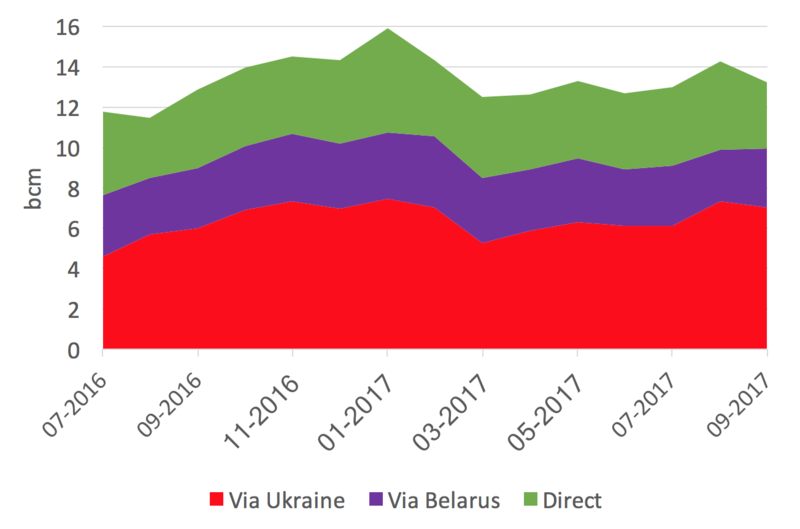 Transit via Belarus partially benefited from this planned maintenance, going up by 400mn m³ in September, while flows through Ukraine also dipped compared with August. After the temporary shutdown of Nord Stream 1, gas transmission directly to the EU resumed to record level as the quasi-full capacity of Nord Stream 1 is now available for Gazprom (191.2mn m³/d, using Russian measurements) which was reached September 26 for direct exports. We should therefore see about 50% monthly increase in EU direct flows in October vs September… and perhaps flows higher than in January 2017 (5.1bn m³).